A new Infinity Edge, Essence Reaver, Phantom Dancer, and more are on the way. 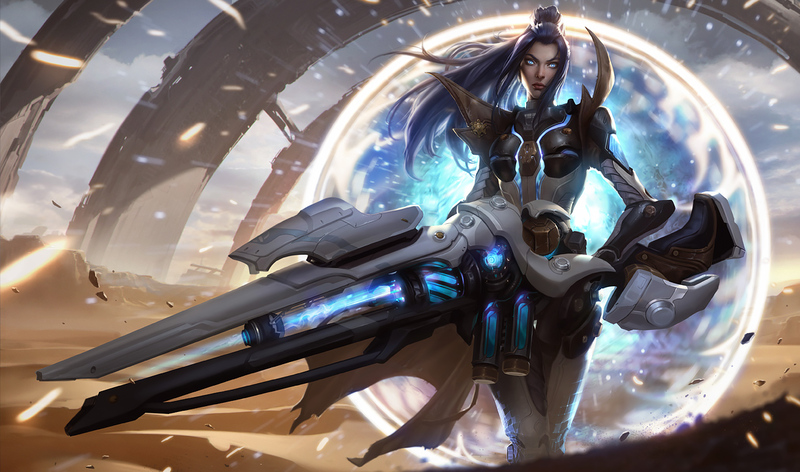 Riot’s latest set of heavy-hitting, large-scale game changes were elaborated on today as lead designer Andrei “Meddler” van Roon posted on the official League of Legends forums. The changes outlined in the post are almost entirely pointed at the bot lane. More specifically, they’re pointed at crit-based marksmen. There are fairly-large systematic changes to League’s crit coming, and Meddler used this post to provide details on those changes, as well as some context on why they’re coming. The goal of the changes, for the most part, is to simply improve how it feels to play a crit-based marksman. Riot wants crit builds to be more appealing, defensive options to feel more possible without sacrificing too much damage, and for overall satisfaction of the role to be higher. These are lofty goals, surely, but Riot gave very specific details on how each one will be accomplished. For starters, there are some big item changes. Infinity Edge is going to be reworked to provide flat crit chance and boost crit damage like it used to, with some differences, and it will provide more AD to make it more valuable of an early item. Essence Reaver is going to return to an AD, Crit, CDR, and mana return item, with a flat 20-percent CDR and each basic attack triggering mana gains. The current Essence Reaver effect of lowering cooldowns with each basic attack will be transferred to a new item, the Spear of Shojin, and Phantom Dancer is getting a new Lifeline passive as another defensive option. There are also other defensive options being explored. More wide-spread issues are coming, too. For example, all upgraded crit items will provide 25-percent crit chance, including Zeal items, the new Essence Reaver, and the new Infinity Edge. Stormrazor is being redesigned, too. It will now amp up your other Energized items and passives from things like the Fleet Footwork rune and Statikk Shiv, making it a very unique type of item. Item costs and other exact numbers are also being tweaked, but Riot didn’t provide many details on those. Meddler mentioned that those final details are still being worked on. Overall, these changes sounds like they’ll add a lot of early power to crit marksmen in the bot lane, shifting most of their power from the three-item spike to a two-item spike instead. That should help them compete in the current meta, but we won’t know for sure until the changes are on the PBE and ready to be tested.